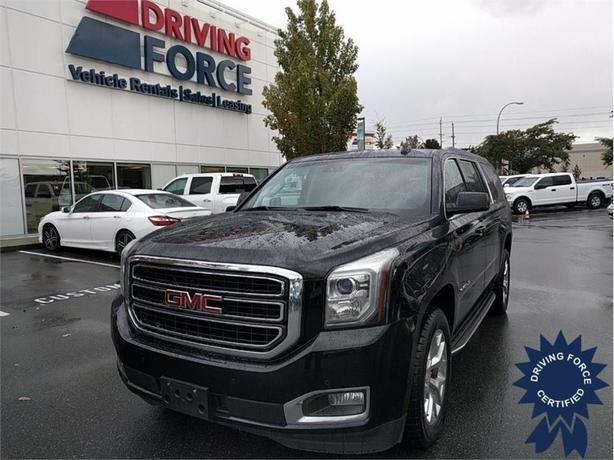 Looking sharp in black on black, this lavishly equipped Yukon XL is excellent for families who crave a little bit of luxury. Outfitted with features such as multi-zone air conditioning with climate control, heated and cooled front seats, power liftgate, power sunroof, four-wheel drive, premium sound system, leather upholstery, power folding second and third-row seats, and much more, this SUV offers an ideal balance of comfort and practicality. Power comes by the way of a 5.3-litre V8 engine, mated to a six-speed automatic transmission.